Quick overview This volume provides specific suggestions for preparing for and carrying out a life story interview. 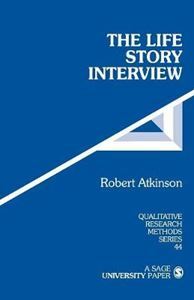 It places the life story interview into a wider research context before moving on to planning and then conducting the interview. Finally, the book deals with the issues of transcribing and interpreting the interview. First-person narratives are a fundamental tool at the disposal of the qualitative researcher. This volume provides specific suggestions and guidelines for preparing for and carrying out a life story interview.